Dairy free pie crust. Lots of it. You may hate me today, but in a few weeks when the Holiday spirit is hitting the fan…you’re going to thank me. In the heat of battle, pie crust stresses me out like nothing else on earth. I’d rather make caramels or homemade marshmallows under pressure, not pie crust. I’ve made hundreds of pies and this dread hasn’t resolved even though I’m really pretty good at pies by now. I finally realized the solution isn’t more practice, it’s pre-pre-pre-planning. It’s making the pie crusts on a fall morning when the kids are in school or a lazy Saturday afternoon when the Holidays haven’t even registered in my brain yet. Done in advance, it’s almost as easy as pie. This recipe for pie crust comes from humble beginnings. It’s from my copy of The Boston Cooking School Cookbook from 1939, given to me by my husband’s grandmother. Depression-era cookbooks are a treasure trove of dairy and egg-free recipes, including recipes for squirrel stew and possum roast. 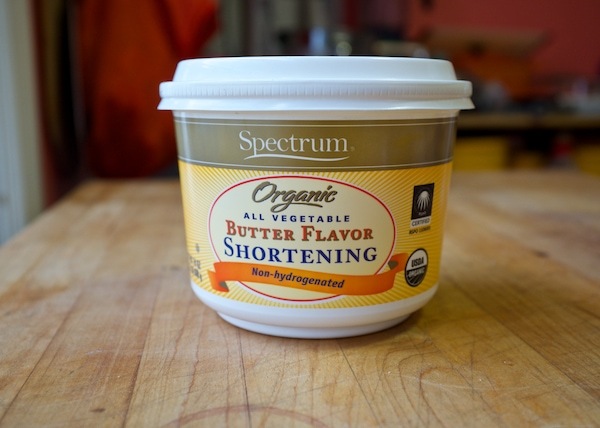 For shortening, I’ve fallen in love with Spectrum Naturals palm oil shortening, and they recently introduced a dairy-free butter flavored shortening. Yes! From one tub of Spectrum shortening, I can get 7 pie crusts made. That’s about $1 per crust. Not bad. Any old shortening will work though. Another option is Crisco, their butter-flavored shortening is also said to be dairy-free. Glees!! I’m a cheater, I use a food processor. I am unapologetic on this matter. In my many crust failures, I’ve realized most of the trouble with food processor pie crust comes to light when the water is added. If you don’t blend the shortening in well enough, then add water…the fat sits in big blobs instead of coating the flour and you get a gloppy glutinous paste. Think of shortening as a cosy blanket around the flour to prevent gluten formation when the water is added. But on the flip side, if you blend the shortening in too well, the results are less disastrous, you just won’t have the nice flaky pastry that comes from large shortening chunks melting while baking. My method splits the different. I blend half the shortening in really really well to coat the flour and then the other half of the shortening is pulsed in and allowed to stay in bigger chunks to form those flaky bits. When you add the water, make sure it’s ice cold and take your time. Don’t just dump the water in and go crazy processing again, you’ll make paste and chop up all those nice big chunks of shortening. Pour the ice water in and then use a knife to gently swirl it around in the food processor bowl. Then give it a few pulses until you can see the crumbly dough coming together. I dislike making pie crust enough that I make a ton at one time and get the misery out of the way. I just wrap the crusts in plastic wrap and they keep in the freezer for a long time. Deep breath…now go forth and make the crusts now. You’ll be thankful you did. Freeze the shortening in a disk and chop it up. Process the shortening into the flour in two stages. Add the ice water gently and give it a few more pulses. Dump on the counter and make into two crusts. 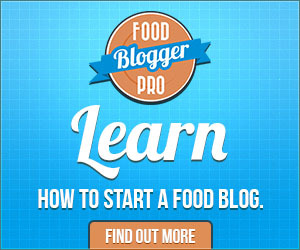 Measure the flour and salt into the bowl of a food processor and give it a few pulses to mix. Add half the shortening and pulse until there are no big pieces at all. Add the second half of the shortening and give it 6-8 pulses until the shortening pieces are small, about the size of a pea. Sprinkle the ice water on top and use a knife to gently swirl the water around the dough in food processor bowl. Pulse another 6-8 times until the crumbly dough comes together, but don’t overdo it. Dump the dough out onto the counter, divide into two pieces. Form into two disks, wrap in plastic wrap and freeze. Keep repeating this process until you’ve made 6-8 pie crusts. Just do it. Your kitchen is already a mess. You’ll be thankful later. I love Fanny Farmer cookbooks! They are the best.